The whole business of placing trademarks on goods was invented thousands of years ago by crafts artisans, eager to distinguish their works. Greek and Roman potters imprinted ceramic marks on their works, medieval paper makers invented watermarks to distinguish their papers, printers and furniture makers created unique marks identifying their crafts and gold and silver smiths used hallmarks—a series of markings stamped on gold and silver products—to signify the quality and maker of the product. Trademarks still serve us in the same way as they did our crafts ancestors. You can claim exclusive trademark rights to any word, symbol or device that identifies and distinguishes your crafts products or services. 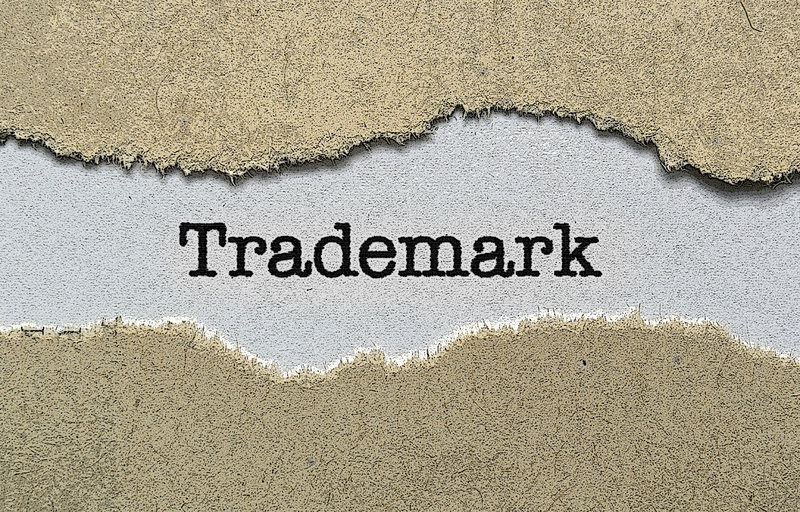 The most popular types of trademarks are product names, for example, “Wilburton Pottery” or “One-of-A-Kind Weaver.” However, there are other types of trademarks, including slogans, logos, domain names and trade dress. In order to stop a competitor who is using your trademark, you will need to file a lawsuit and obtain a court order. The government will not enforce your trademark rights for you. You may also find that many rules and decisions regarding trademarks seem arbitrary or are based on money and not fairness. Unfortunately, this is sometimes the case in trademark disputes where big companies use trademark law to bully smaller competitors. If you are the first crafts company to use a trademark in commerce, that is, the first to advertise or sell products or services under the mark, you acquire trademark rights and can stop others from using an identical or similar mark. Example: A Spanish company was the first to use the trademark MAJORICA (on a ribbon or crest design) for its manufactured pearl jewelry. A second company later sought to use MAJORCA for its pearl jewelry (also in a crest design). A federal court prohibited the second user, because MAJORCA was phonetically and visually indistinguishable from MAJORICA and was likely to confuse consumers. However, simply being the first user of a mark may not get you all the protection you need. Other factors that influence trademark rights are the geographical extent of your use, whether the mark is weak or strong or whether you have abandoned your right to use the mark. You can only stop others from using a similar mark on goods or services with which the mark is used, intended to be used or likely to be used. Example: ACC is a trademark for the American Craft Council, an organization that provides services including crafts shows, exhibitions, resources and marketing services for crafts business. If another company wanted to use ACC as a trademark for cardiology and education services (American College of Cardiology), sports services (Atlantic Coast Conference), insurance services (the Accident Compensation Corporation) or a musical group (Angel Corpus Christi), the American Craft Council would have difficulty stopping these uses because crafts, cardiology, insurance, basketball and music are not competitive or related services or goods. They are not offered through the same channels of distribution or in the same retail outlets. However, if another company were to offer crafts shows and used the ACC trademark or logo, that use might confuse consumers as to their source and the American Craft Council could stop this competitive use. Rule # 3: Creating a trademark doesn’t create rights. Trademark rights do not arise because you create a trademark—for example, design a logo or coin a slogan. Trademark rights only occur if you use the trademark in commerce. You can reserve trademark rights but these rights will not vest unless you eventually use the mark in commerce. Trademark protection is based around a “strength” classification system. Strong trademarks are distinctive, and you can immediately stop others from using similar ones. Weak trademarks are not distinctive and you cannot register one on the Principal Register—the best form of U.S. trademark protection—until you strengthen it by pumping up the mark with consumer awareness through advertising and sales (known as “secondary meaning”). made strong (it becomes distinctive through sales and advertising, as did the “PEOPLE’S POTTERY” mark). As a general rule, the more that the mark describes the goods (for example, BEADS N THINGS), the weaker or less distinguishable the mark. Why? Because the mark describes the product, it doesn’t distinguish it. Unfortunately, this classification system is not an exact science—there are no foolproof tests for determining if a mark is strong. A decision is usually made by a judge or trademark examiner and many trademark decisions are simply subjective determinations, much like a referee’s call at a football game. Only the owner of a federally registered mark may use the symbol ® in conjunction with goods or services. The filing date of your trademark application gives you nationwide priority as of that date. The owner of a registered mark may, under some circumstances, recover lost profits, damages and costs in a federal court trademark infringement lawsuit. The owner of a registered mark can deposit a copy of the registration with U.S. Customs in order to stop the importation of goods bearing an infringing mark. After five years of continuous use, a federally registered mark can, with some exceptions, become immune from challenge. A federal registration may serve as the basis for filing a trademark application in certain foreign countries. If these benefits are important to your crafts business, and if you believe your trademark adds substantial value to your business, proceed with federal registration as described below. Registration takes approximately one a year and between $275 to $325 per class of goods. The United States Patent and Trademark Office administers federal registrations. Nonuse (also known as “abandonment”). 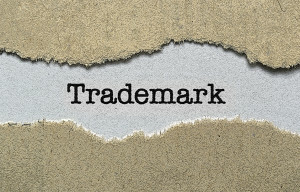 If you stop using a trademark and indicate you won’t resume use, the mark is no longer protected and anyone can use it. Generic terms. If you attempt to use the name of the a class of goods—for example, you use the term “Leather” or “Jewelry” as the sole name for your leather or jewelry goods—the name will not be protected, because it is a generic term. You can, however, use these terms in conjunction with other terms—for example, Zen Woodwork or Genius Jewelry. Weak marks that have not achieved secondary meaning. As explained, above, a weak (or nondistinctive) mark cannot be protected without proof of consumer awareness. Functional features. A functional element of your crafts or its packaging is not protectible as a trademark (described below). You have less chance of infringing on someone else’s trademark. You won’t have to file a fictitious business statement (sometimes known as a dba) with your local county clerk when you create your business. You may have an easier time preserving your rights to a domain name. Primarily a surname (weak). A family name that is perceived primarily as a person’s name is descriptive (weak) and can’t be registered. The owners cannot stop others from using a similar mark without proof of secondary meaning. This is also true if the surname is used with other generic terms (for example, “Steinberg Gourds” or “O’Neill Glass Art”), or is used with initials. If the additional wording is more than a generic term, or if it creates a play on words—for example, Boyd Wright’s “Wright Made Products,” the mark may be strong and registrable. Not primarily a surname (may be weak or strong). Some family names have a dictionary meaning, for example, Nathan Lefthand operates “Lefthand Studio.” In these cases, the mark is not automatically presumed to be weak. You will have an easier time registering or protecting it. Multiple surnames. Generally, when a surname is combined with another surname (such as “Bernard & Sokoloff Art Glass”), it is not presumed to be weak, and you will have an easier time registering or protecting it. Surnames combined with a design. If the design is not particularly distinctive (for example, simple geometric shapes), the mark is considered weak. This is not the case if the design has some unique or distinctive features. One factor to consider in choosing your trademark is whether the corresponding domain name is available. This search can be done for free at many sites on the Internet, located by typing “domain name” into any search engine. Trademark owners often vie for the same domain name. For example, the Arrow glass design company and the Arrow shirt company may both want the domain arrow.com. Although the term “Arrow” can function as a trademark for both companies since they have separate goods, there can be only one arrow.com. The first company to register the domain name acquires it. If a trademark owner wants to acquire rights from a legitimate domain name owner, the only solution is to negotiate to buy the rights.